The performance and vaping experience are phenomenal. Good product received well. I will use it carefully. 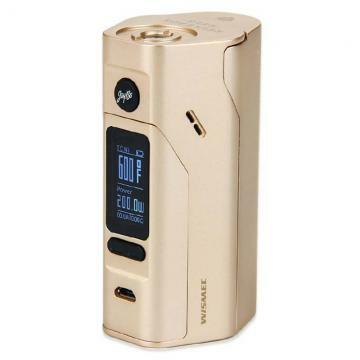 RX2/3 excellent mod soild quality long battery life. Very good deal, love WISMEC Reuleaux RX2/3 MOD. Wismec Reuleaux RX2/3 is the latest version of Reuleaux serials, designed by Jaybo. The appearance is similier to rx200s, but function is upgraded. It can reach to max 200w with the replaceable back cover. You can choose either 150w or 200w depends on your own demand. The firmware can also be upgraded, you can always use the latest firmware, which makes the device stay up to date. What's more,it comes with the custom logo, which makes it more attractive to customers. • It doesn't include a 18650 battery cell. We suggest you use constant discharge current 25A battery.